That time of year has rolled around again, and Cardiff Male Choir will be hosting their annual Gala Concert. This year celebrates the choir’s 120th birthday. 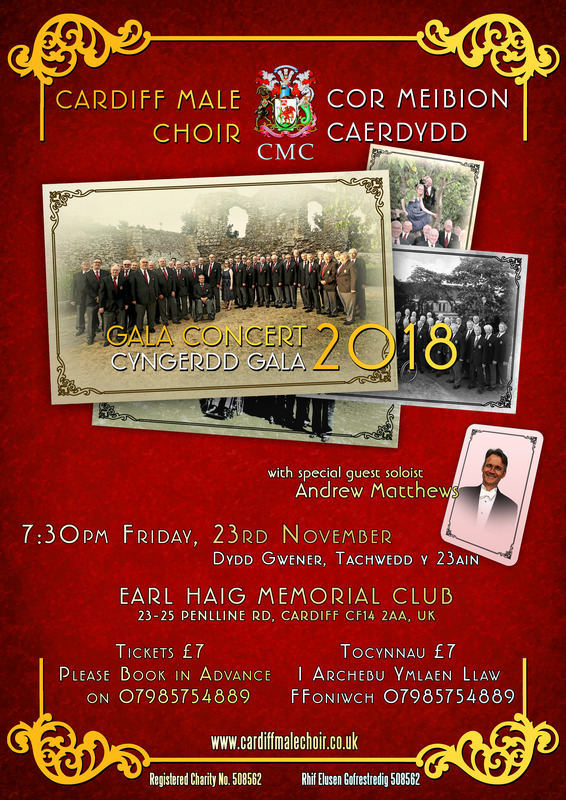 Join us at the Earl Haig Club for a superb evening of Welsh choral music, featuring guest soloist Andrew Matthews. Andrew Matthews (Baritone) was born in Swansea. He has sung extensively in opera, oratorio and song recitals. He recently won the coveted Blue Riband Prize at the Llanelli National Eisteddfod in 2014 and was made a member of ‘orsedd y beirdd’ the following year. He is a dentist by profession and an FAW football referee. Tickets are limited, and the concert is a regular sell out. To reserve your tickets, please call Emma on 07985754889 or email us.